Do you umm and ahh over the different ways to dress your child? After all, the clothes we dress them in says a lot about who we are as mums. 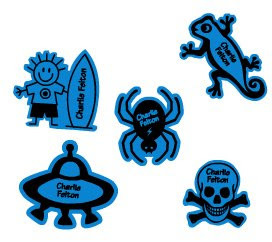 And don't get me started on clothing stickers - I got myself tied in knots over whether C was more of a surf dude (ya know, even though he can't crawl yet) or more a skull and cross bones kinda guy.